NeoPets is a browser-based online world where kids adopt a cute mythical monster, feed it, play with it, and even battle it against other monsters. 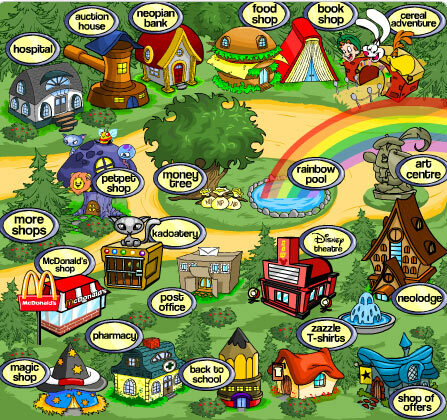 The NeoPets community is huge and has an extensive fan base that is invited by the website to contribute stories and artwork. 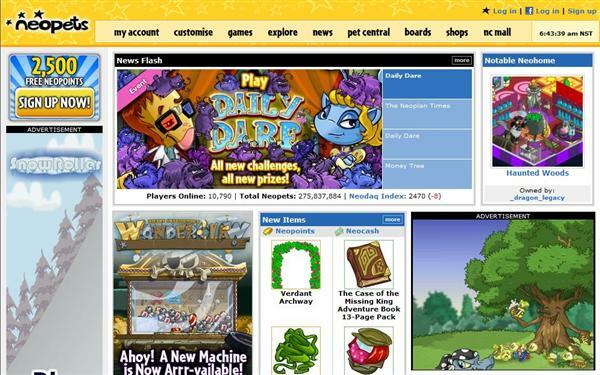 Neopets is an entire virtual world to explore! 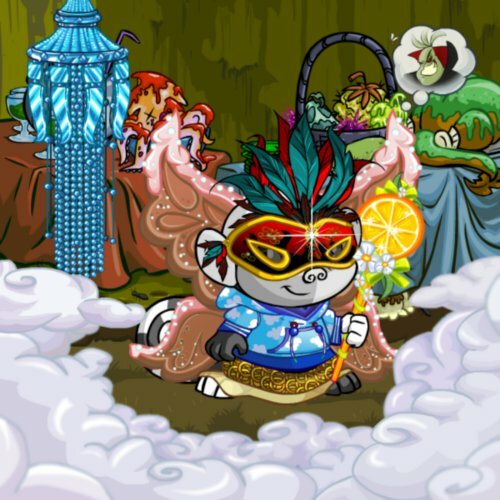 You can take your Neopet on adventures in a variety of strange and unique lands, from an underground molten lava world that runs on steam to a mystical faerie kingdom floating among the clouds. 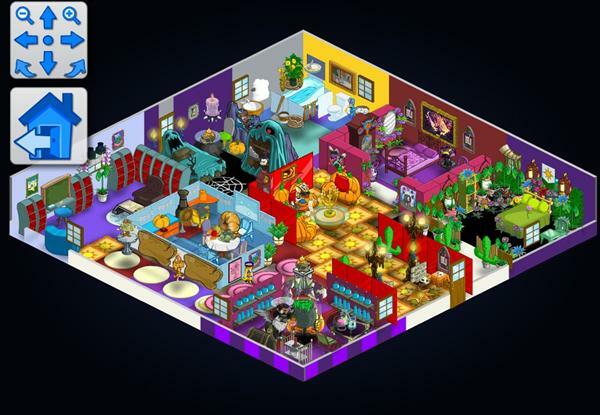 You can customise your Neopet, build and decorate your own Neohome, or flex your creative muscles by participating in one of many site contests. 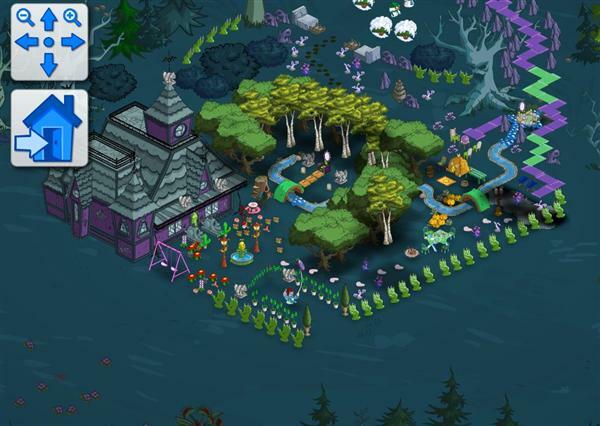 Play games, make new friends, join the Neopets community — it’s all waiting for you in Neopia! The game is part of Nickelodeon’s family of websites. Avatars are icons that you can use to represent you when you post on the NeoBoards or when you send Neomails. Some avatars are given to you automatically, but others are a little bit trickier to obtain! Petpetpets are very small creatures that live on Petpets. Some species of Petpetpet are viewed as pests and parasites, but others are harmless. 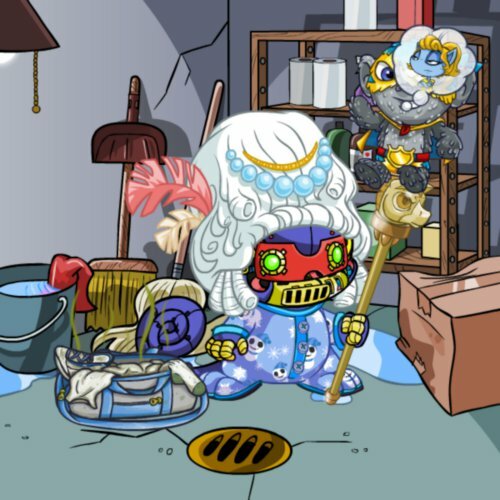 Petpets are pets for your Neopet! Many species of Petpet are sold in shops throughout Neopia, though some of them are quite rare and expensive. 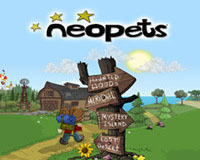 Petpets can help your Neopet out with some site activities, such as waking the Turmaculus. Wearable items are available for purchase in shops throughout Neopia including the General Store. You can also purchase wearable items from user shops, the Trading Post, or Auctions. World Challenges are competitions against random, unknown opponents to see who can get the most wins in an hour. Every time you get a score that is better than that of your random opponent, you get one point added to your World Challenge tally for the hour. Every time you get a score that is less than that of your random opponent, you get one point deducted from your World Challenge tally for the hour. Related Tags: Nickelodeon, Virtual world.